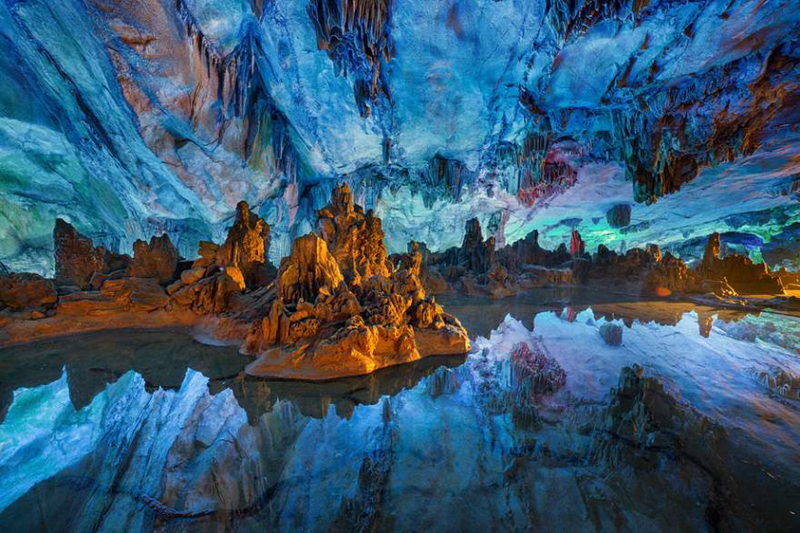 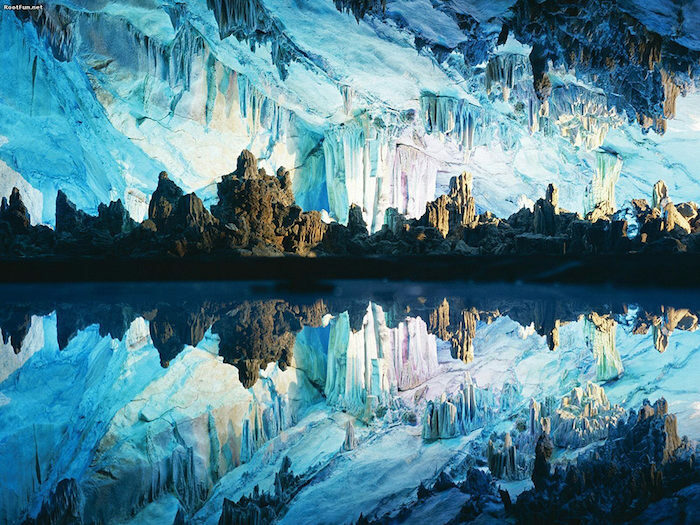 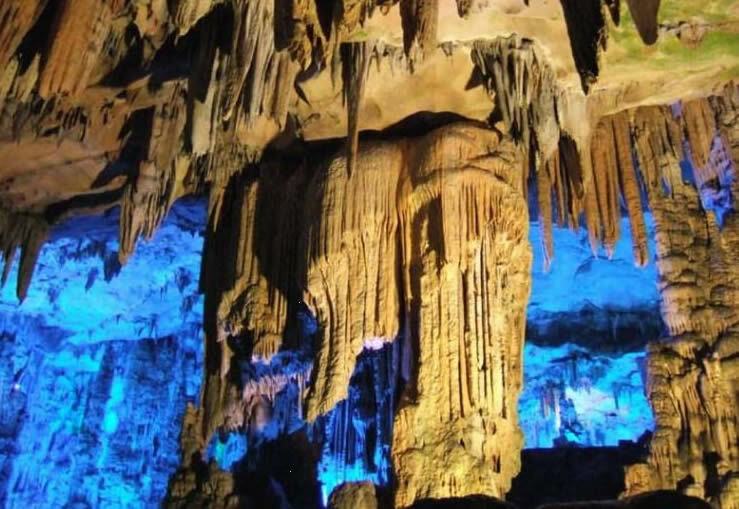 Underground Wonders – Reed Flute Cave – Bin3aiah World! 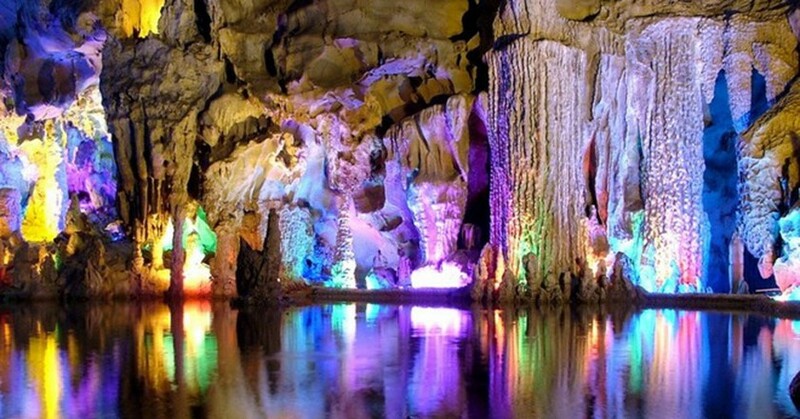 The Reed Flute Cave , also known as “the Palace of Natural Artsâ€ is a landmark and tourist attraction in Guilin, Guangxi, China. 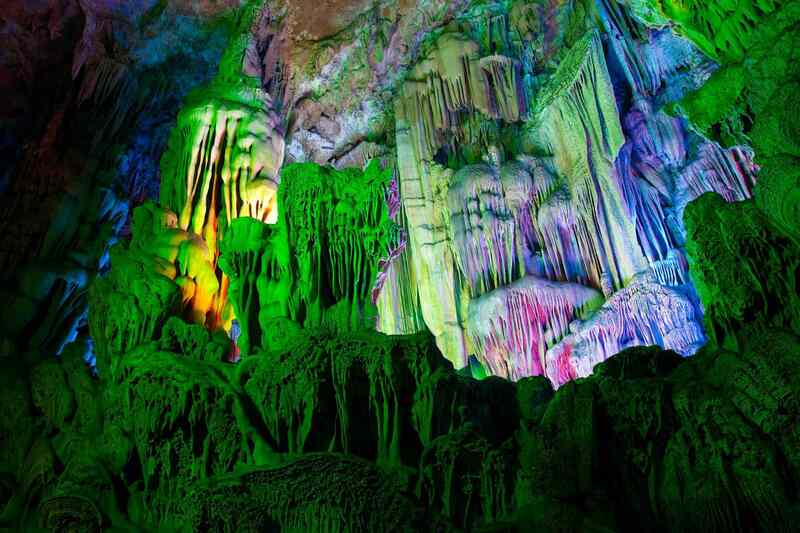 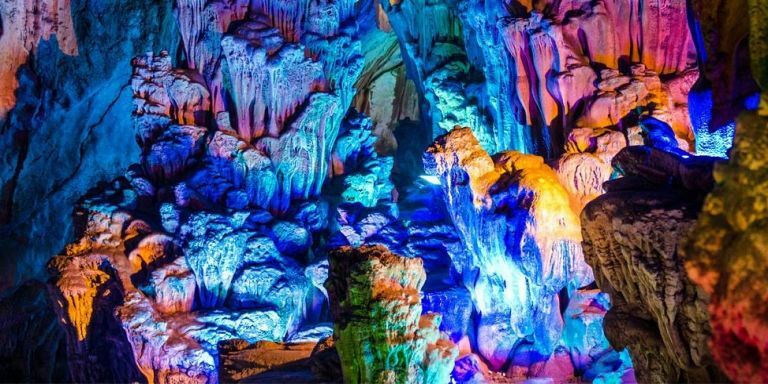 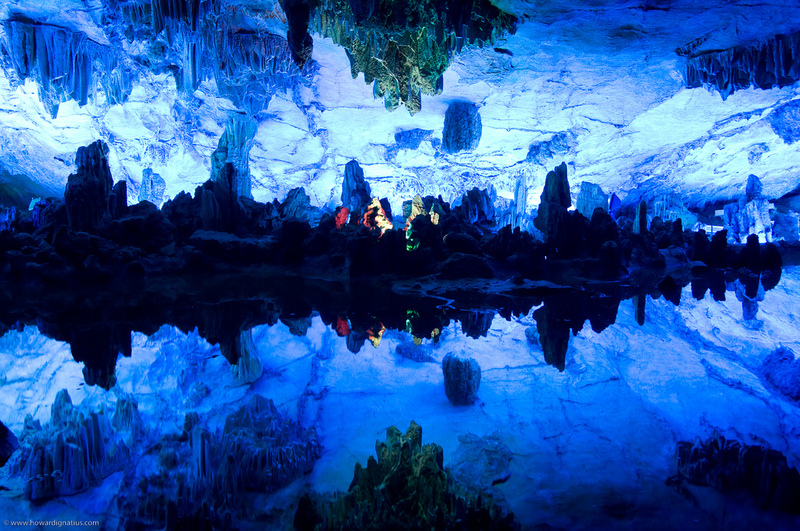 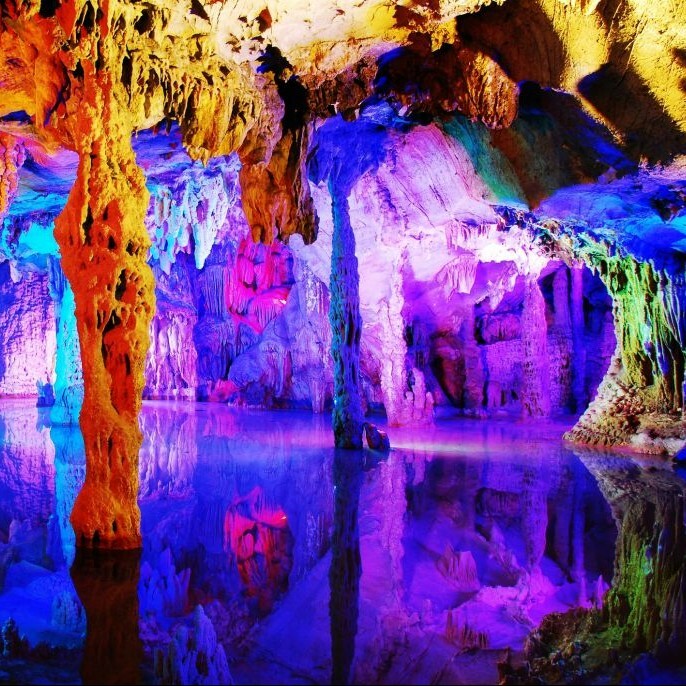 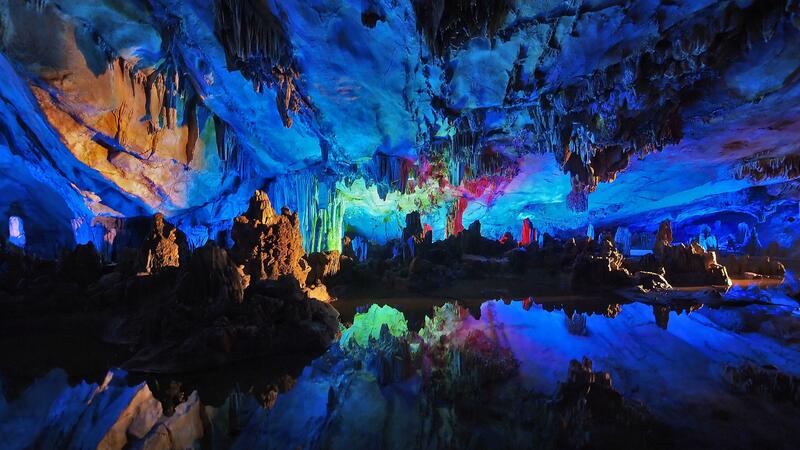 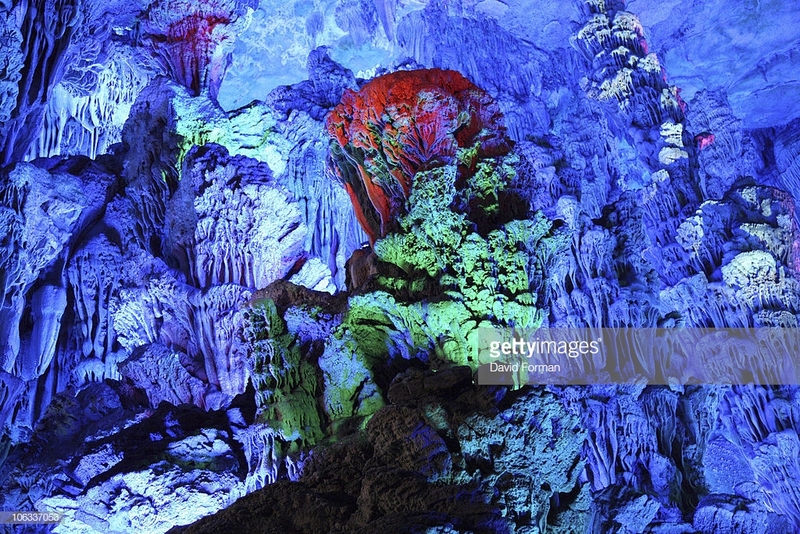 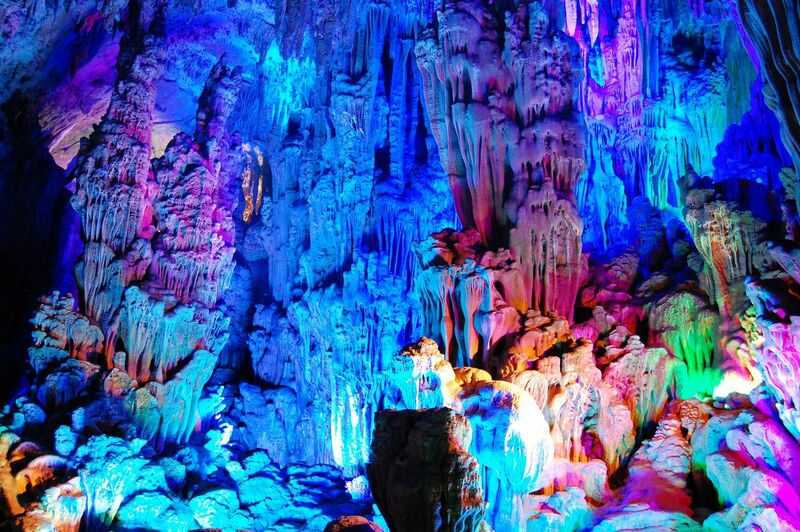 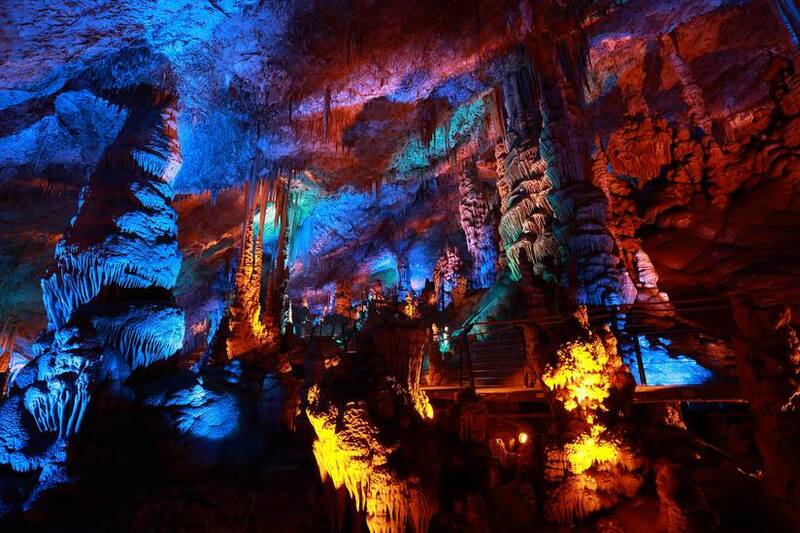 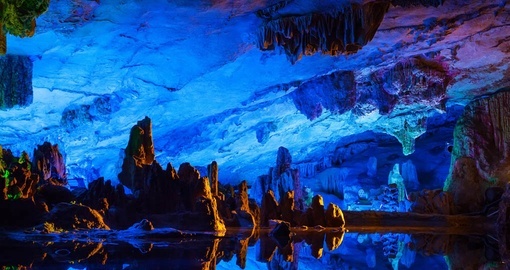 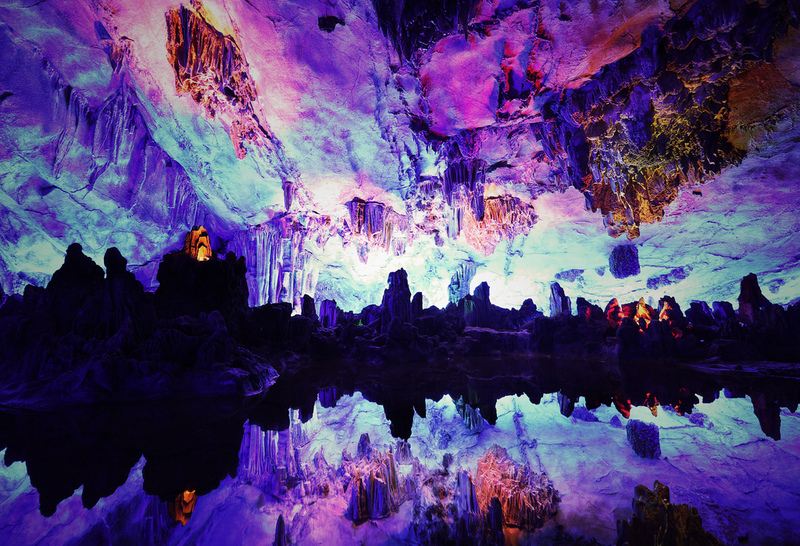 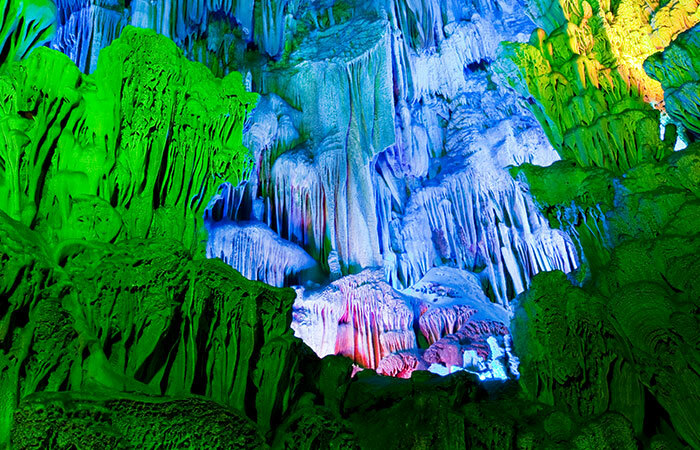 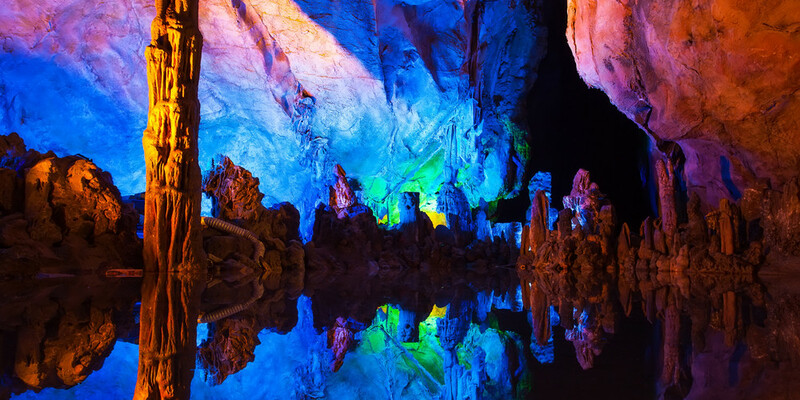 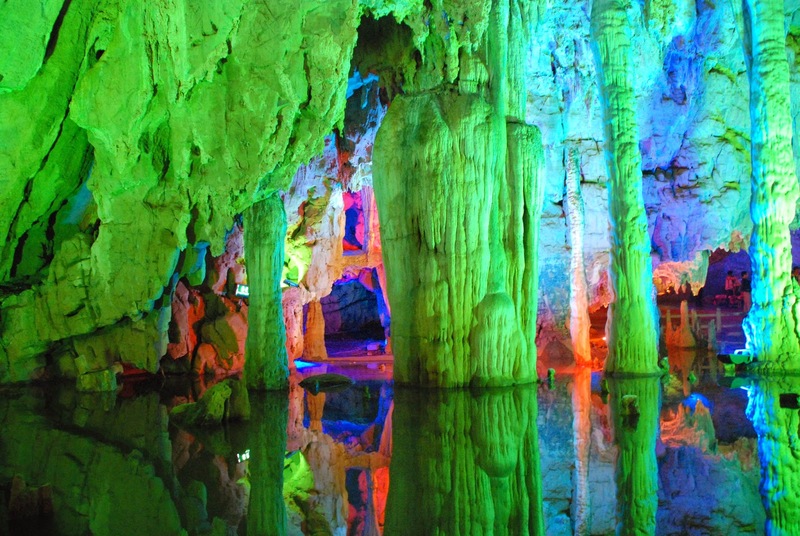 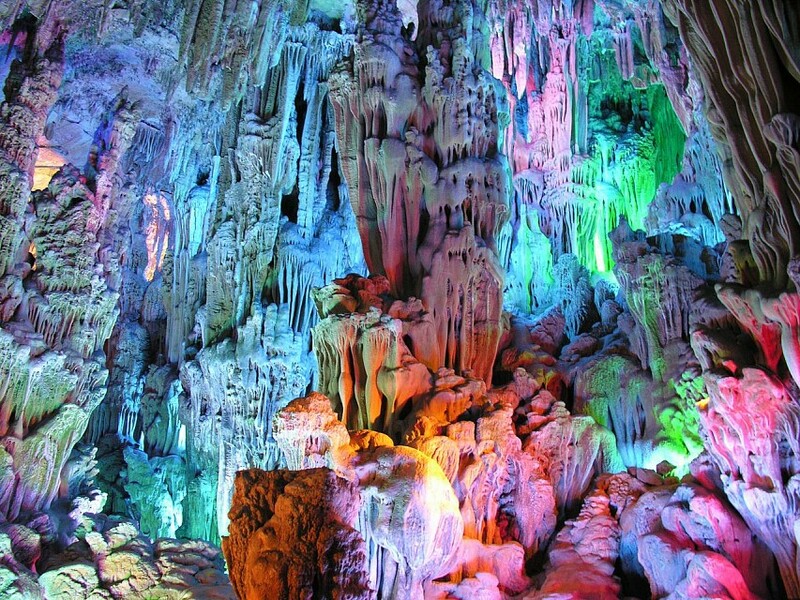 It is a natural limestone cave with multicolored lighting and has been one of Guilinâ€™s most interesting attractions for over 1200 years. 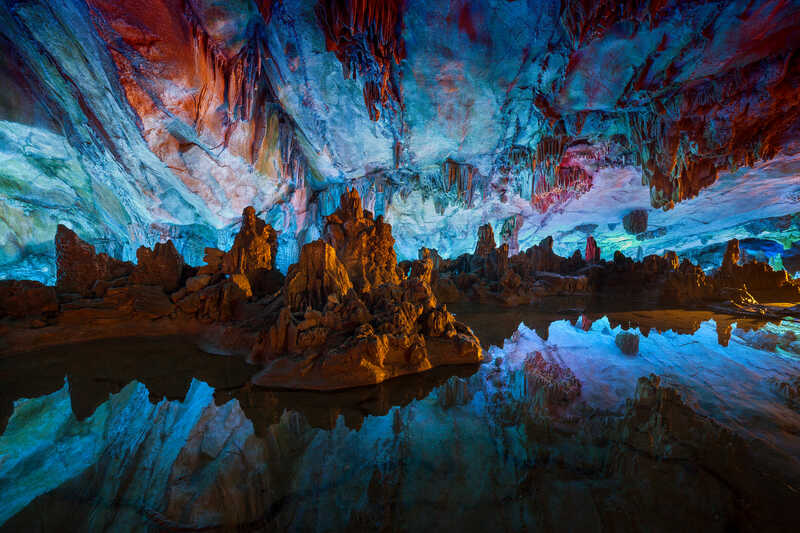 It is over 180 million years old. 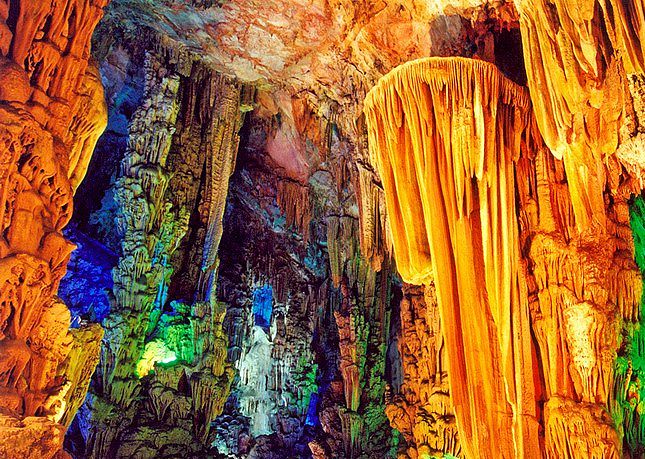 The cave got its name from the type of reed growing outside, which can be made into flutes. 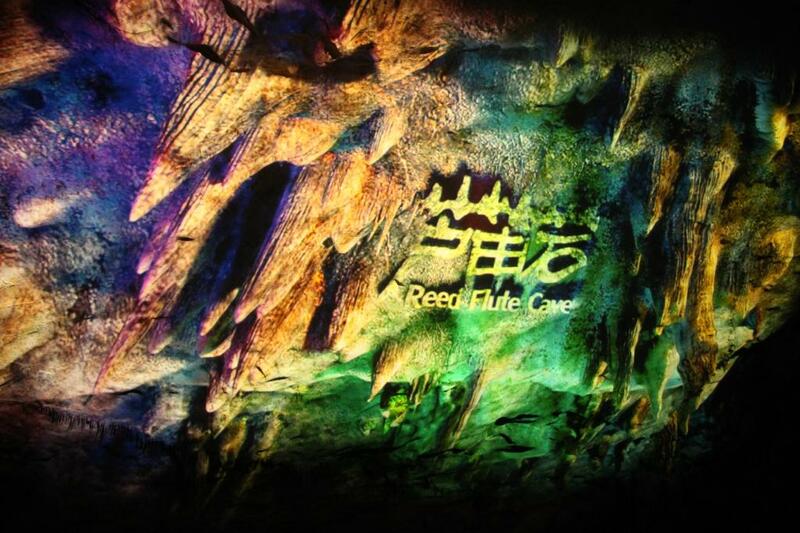 Reed Flute Cave is filled with a large number of stalactites, stalagmites and other rock formations. 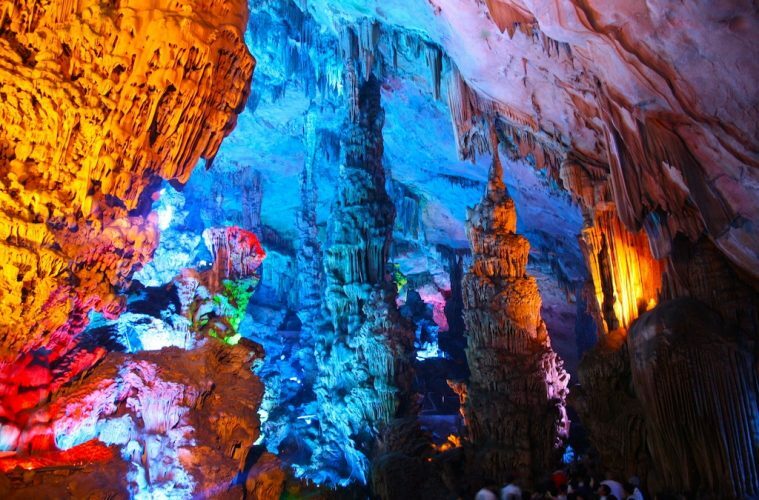 Inside, there are more than 70 inscriptions written in ink, which can be dated back as far as 792 AD in the Tang Dynasty. 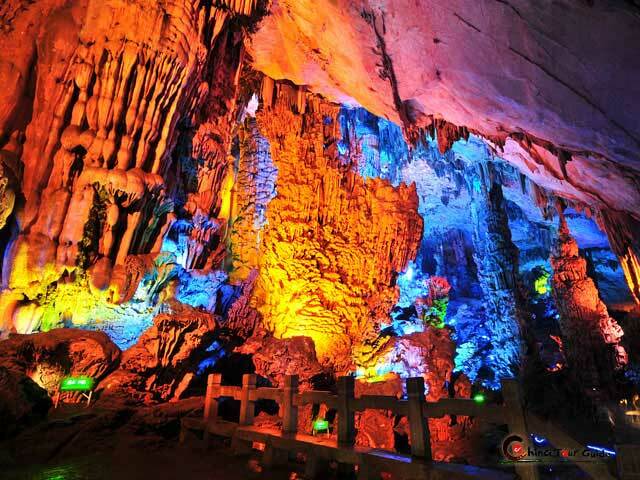 These aged inscriptions tell us that it has been an attraction in Guilin since ancient times. 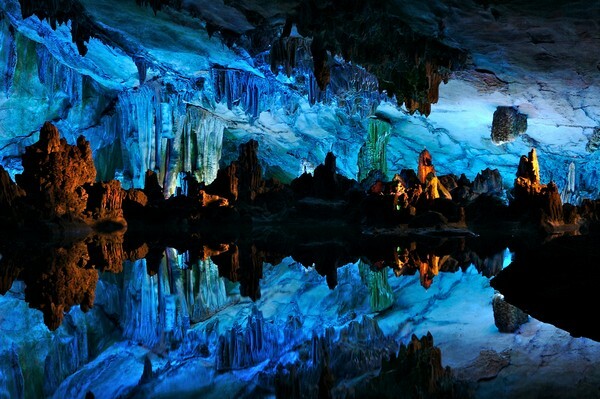 It was rediscovered in the 1940’s by a group of refugees fleeing the Japanese troops. 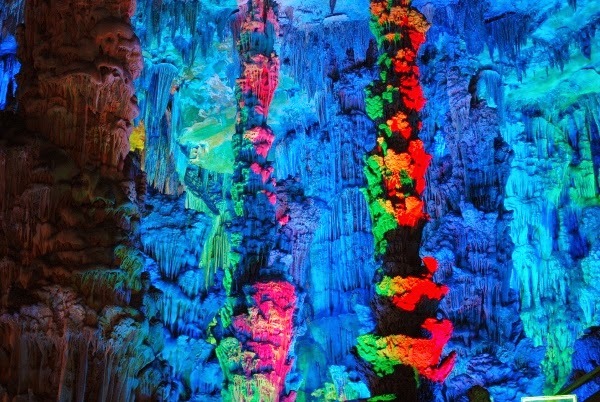 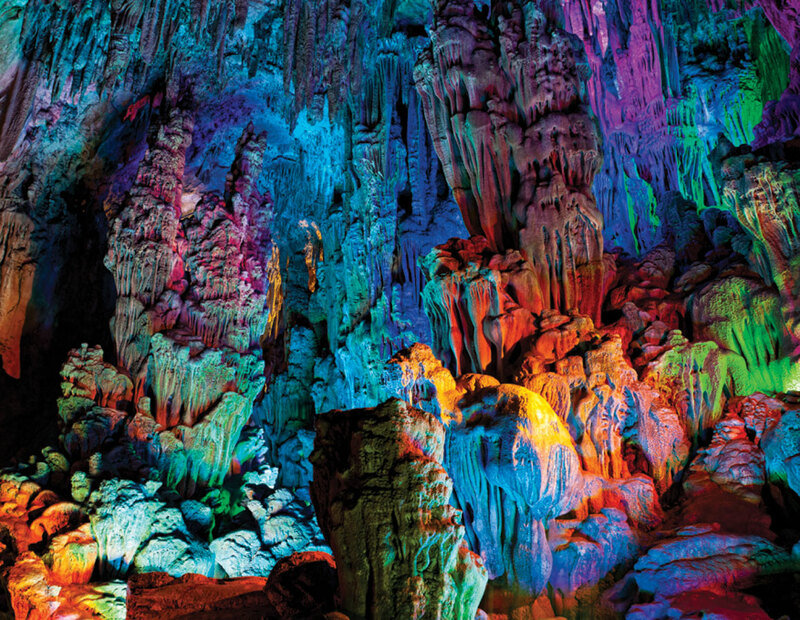 Nowadays, multicolored lighting artificially illuminates the cave. 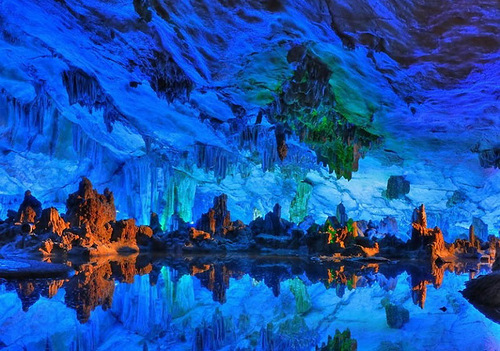 Some truly good information, Sword lily I observed this. 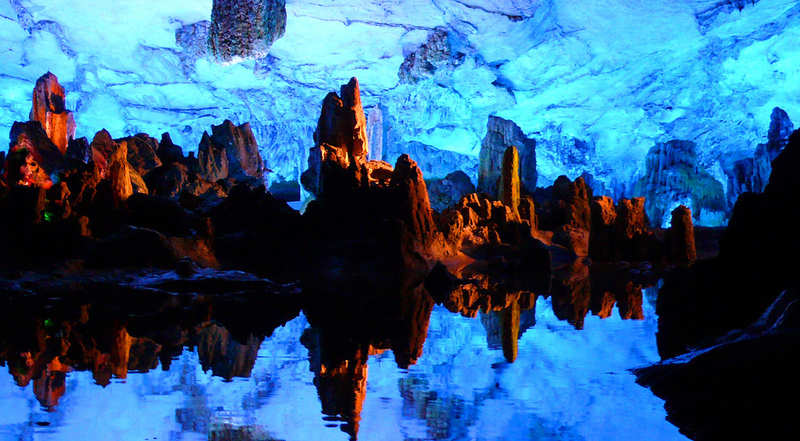 “The only truly affluent are those who do not want more than they have.” by Erich Fromm.